Breathable Hi-Visibility, low lint, synthetic lycra infused nylon. Seamless and lightweight knit for enhanced ventilation keeping hands cooler. 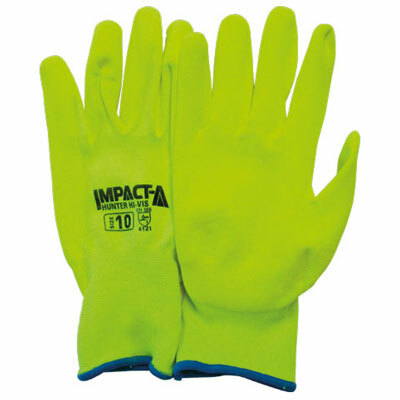 Mechanical risks approvals (EN388:4121) mean these gloves offer an abrasion and tear resistance without compromising the dexterity of the glove. Hi-visibility sandy finish foam nitrile dip palm for improved grip in precision handling and high flex pattern for better comfort and fit. Ideal in low-lit areas for precision handling in applications such as automotive assembly and repair, parts handling, oil refineries and mining, engineering and general purpose tasks.